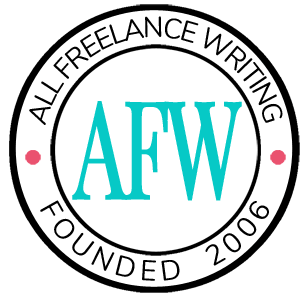 ﻿Having a client-focused blog on your freelance writer website is a great idea. That's especially true if you're new to freelancing and need a boost in search engine and social media visibility. But what kind of blog should you run on your professional site? Should you share tutorials? Advice? News? Or should you take a more personal approach with storytelling? That's what Meghan Coughlin wanted to know when she reached out with concerns about her new freelance blog and some advice she'd gotten in the past. First, a huge “thank you” for the wealth of knowledge and legitimate advice all over this site. I’m still new to the freelancing world and this has been a breath of fresh air after the few dozen “how to make it freelancing” sites I’ve been on so far. I’ve spent the last couple of months reading the wrong advice and I only have negativity and a dwindling bank account to show for it. I’ve picked my niche (leadership development) because I’m passionate about it and I’ve got some great experience to back it up. I’ve also built my work-in-progress website for freelancing services, but since I’m not very confident in the advice I’ve been taking, I’m not confident in how I’m marketing myself either. The blog on my website has more of a storytelling style rather than a “how to,” and I’ve chosen that style for exactly the reasons you’ve mentioned in your insta-expert podcast…I don’t want to claim I’m a leadership expert. I’m simply a young woman who had a ton of responsibility thrown at me and I made it out happy and alive. I don’t have “expert” advice to give; I have stories of lessons I’ve learned. My fear is that marketing myself as a freelance writer specializing in leadership development doesn’t match the lack of expertise in my blog. Is having that style of a blog linked to my website a bad move? Any advice would be much appreciated! Thank you! If you haven't heard the insta-expert podcast episode Meghan mentioned yet, you can listen to it now to get a better idea of what she's hoping to avoid with her professional blog. Philippa Willitts and I chatted in that episode about writers using things like blogs and guest posting to create a false sense of authority their credentials simply don't back up. Let's start by looking at her freelance writing blog. What kinds of posts can you find on Meghan's blog so far? She's introduced herself to her readers. Much better than the typical "oh, hey, welcome to my new blog that doesn't actually say anything yet" posts. She's talked about the importance of dreaming -- especially that of your employees, and how knowing their aspirations can help you motivate and lead your team. Great so far. There's a post on nurturing young talent on your team. Another good one. And Meghan talks about letting bad moments turn into bad days. This one could use some work. Let's look at what's good about Meghan's blog first. The very stories Meghan's concerned about are what make this blog work so far. Think about her target clients. She's targeting people in leadership positions (or the publications hiring her to write this content are). If you're targeting people who are used to leading, giving them tutorials and telling them what they "have to" do probably won't serve you well. These people aren't born followers. By taking the "here's my experience and what I learned from it" angle, Meghan makes her blog content, and herself, more relatable. She doesn't tell her readers "here's what you need to learn to be a better leader." Instead, Meghan uses her blog to show leaders how they can pull lessons from their own experiences with their teams. In essence, she's leading by example. And I think that works well here for this particular market. Bringing stories and personality into your blogging lets you connect with readers. It shows those readers -- in this case freelance writing clients -- who you are. That, in turn, gives prospects an idea of what you'll be like to work with and what kind of content they can expect from you if they hire you. But there's still room to improve. Meghan's off to a good start with her freelance writing blog. But there are also some problems. Let's start with a simple design issue: the font size. The text in Meghan's posts is very small. When you do that, you risk losing readers. It would be a good idea to increase it and keep the site as accessible as possible. Easy fix, so I'll leave it at that. OK. There is technically a lesson. But it's a personal lesson. It's not a leadership lesson. Are readers there for a pep talk or feel-good moment before going on with their day? Readers are there to read something about leadership. Always deliver what your blog promises. That said, there's nothing wrong with the post overall. And, again, it's relatable. Who hasn't missed out on nice things because one or two bad things happened, so they'd already convinced themselves they were going to have a lousy day? I have no doubt Meghan can pull a leadership lesson from that. For example, maybe it's not just that people should individually choose to stop letting bad moments ruin entire days. Perhaps the benefit to her readers would be learning how to help employees stay motivated in spite of those kinds of days. Or maybe Meghan could highlight the way a leader's foul mood on one of these days might drag down employee morale. Give them a reason to let go of what's bothering them, at least until they can deal with it in a way that won't negatively impact their team. You can buy Instagram Likes. "Lesson learned" posts have their place. In Meghan's case, landing freelancing writing clients in the leadership development niche isn't about looking like an expert who's better than her prospects in some way. Her ability to land clients depends on her ability to be seen as their peer -- their equal. She can say, "Hey, I get it. I've been there. Here's how I handled that situation, or here's something it taught me." It shows enough vulnerability that clients won't feel threatened by some "expert" coming in to tell them what to do. But it builds rapport by showing prospects they can trust her because she understands them or their own audiences. There's one more problem with Meghan's blog. A freelance writing blog should motivate prospects to take action. Right now, Meghan's blog posts aren't doing that. There's no call to action (CTA). Every post on your freelance writing blog is like a conversation between you and your prospects. Share stories. Teach them something. Inform them about industry issues. Demonstrate your skills and expertise in your niche (if you're a real expert only please). Those are all valid approaches to business blogging. But every single one of them is useless to you as a freelancer if, in those conversations, you aren't telling your readers what you want them to do. Fortunately Meghan doesn't have many posts on her blog yet, so this is an easy fix. To get the most out of her content, I'd recommend ending every post with a CTA. A CTA doesn't have to be complicated. It doesn't have to be an opt-in form for a prospect email list. A CTA on a freelance writing blog might just be an invitation for the reader to contact you to talk about a specific project type or get a quote. If you have a particular case study or portfolio piece that ties nicely to the lesson, story, or message in your blog post, link the reader to it and tell them they can see what you're talking about in action. Keep the conversation going. And, whenever possible, encourage readers to take that relationship to the next level by interacting with you one-on-one. That is how you close deals. You make those connections. You build relationships. Your blog is just the starting point. So, is it a bad idea for Meghan to have this kind of story-centric blog on her freelance writing website? It might even be the best kind of blog for Meghan's market. But that's a lesson she won't learn from four posts. Stick with what you're doing for a few months. Make sure every post's, or story's, lesson is relevant to your readers. Improve readability by increasing the font size. Don't neglect search engine optimization (know what you're trying to get every post to rank for in search engines). And get CTAs on every post you write. Just keep treating your readers like people. Empathize with them. Let them see that you understand them. And then drive them to contact you so you can show them what you can do for them when they hire you. Then, after a few months, re-evaluate things and see where you stand. Improve your SEO. Market your blog content more aggressively if you need to. Alter your approach to CTAs if they're not delivering leads. But start with what works for you and try to make the most of that first. Personally, I think this blog is off to a great start. What do you think fellow freelancers? Is Meghan's blog off to a good start? Who else here focuses on storytelling in their blogging as opposed to "how to" advice? How has it worked out for you so far? Share your stories or tips for Meghan in the comments. Jenn, you’re excellent! Thank you for the post and thank you for investing your time into helping my site along. I’ve got some work to do, but your suggestions all make great sense, especially incorporating a CTA… adding that to my posts is needed, but it also got me thinking that I could probably put in a little more work on my contact forms within the site. What a fabulous article! I learned much from the CTA piece. Meghan, you are a rising star. Jennifer, your advice is top-notch (no surprise here).